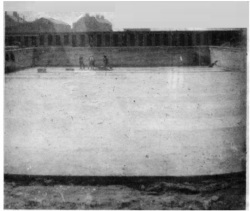 The town council decided in early 1932 that a swimming pond was to be built. The town council aided by the local swimming club and locals raised the necessary money to fund the project. (Sales of Work, Raffles and bars of tablet where sold door to door, these where just some of ways in which the necessary cash was raised), every conceivable form of cash rasing was exploited. The Pond was built by The Town Council, The local swimming club members and other volunteer labour (a gang of unemployed fishermen & miners). The venture caught the imagination of the residents, donations of cash & materials were donated. Mr J Hall Weatherhead done a great deal of work, setting an example in both personal labour & in the supply of materials. The pool was of Olympic size at that time being 50yds by 25yds. The shallow end was 3 feet deep sloping to 7 feet at the deep end. The first entrance to the pond was situated at the west side of the Pond. The changing accommodation consisted of cubicles at the pondside situated at the shallow and deep end of the pool. 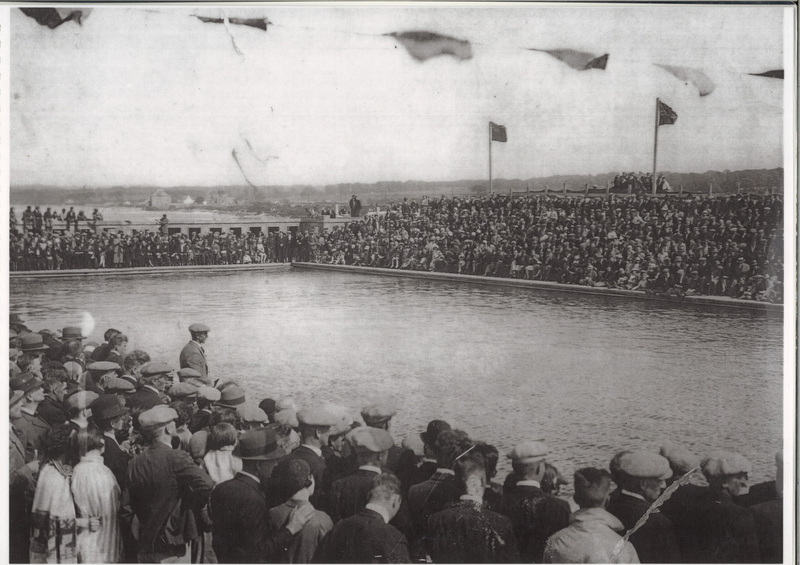 The seating accommodation was situated on the North & South side of the pool, there being room for 1,500 spectators on both sides. North side seating consisted of a Wooden boards laid on a wooden stepped platform. The South side seats consisted of slatted wooden boards laid on a stepped solid concrete surface. A feature of the ingenuity of the locals lay in the pump house, The first pump was an efficient fishing boat engine which was charged with filling the pool with sea water. 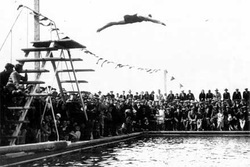 The principal event of the first gala was the Scottish women's Scottish diving championship, won by Miss Ellen King of the Zenith Club. She was the only Scottish women to have set a world record. The 1st Pondmaster was Mr R Yeoman a well known Musselburgh swimmer of the time. 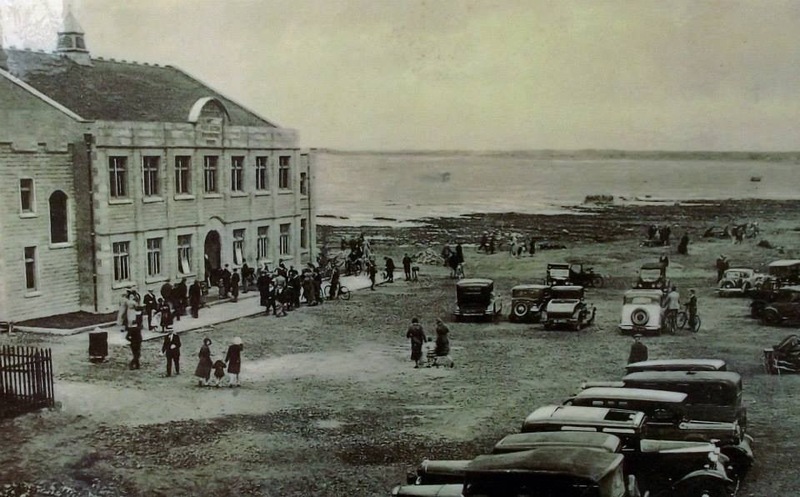 The Pond was opened on 18th June 1932 with some minor details still to be completed. What amazes you when you look at the old photographs, is the sheer numbers of people that attended the galas.